This is what it looks like passing by . Its about 20 inches tall, a slender purple stem, almost invisible. It blends into the forest, to be hardly noticed. That’s right, this plant is not sold in garden centers. Even if it was, it would most likely die, being that it is so specific about its habitat it only grows under specialized conditions. It requires a mycorrhizal fungus to grow along its roots symbiotically in order to survive. 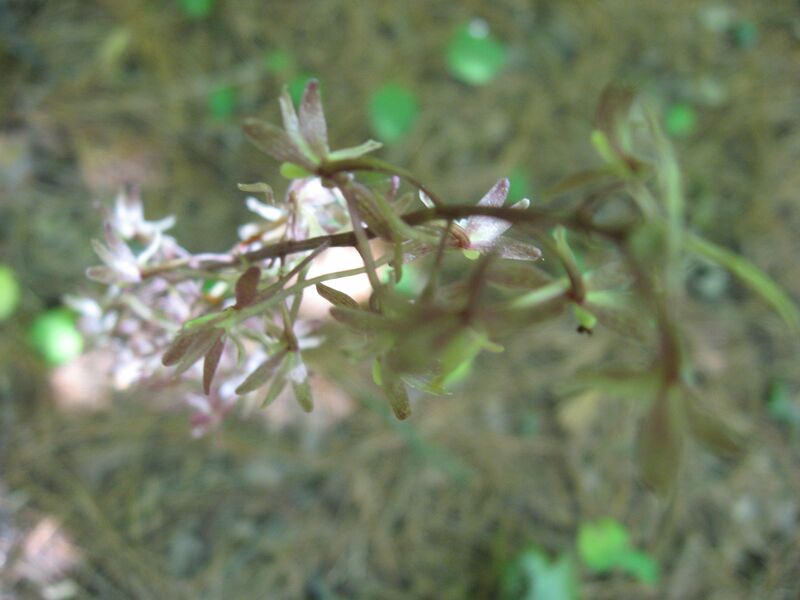 We had found this plant in March, when all that was visible was its one leaf, which had survived the winter. 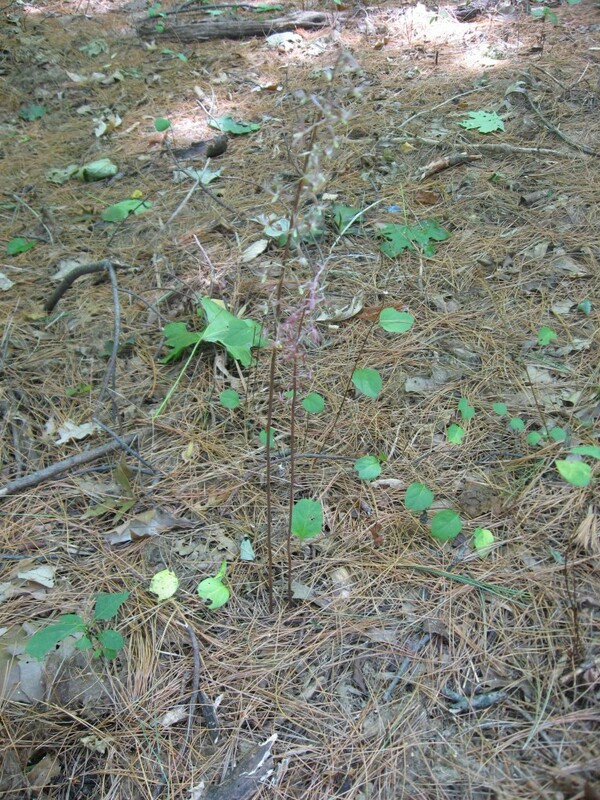 The distinctive leaf was also hardly visible on the forest floor. The leaf grows after the flower blooms. The leaf , produced in the fall, holds on all winter, capturing the sunlight needed to flower. 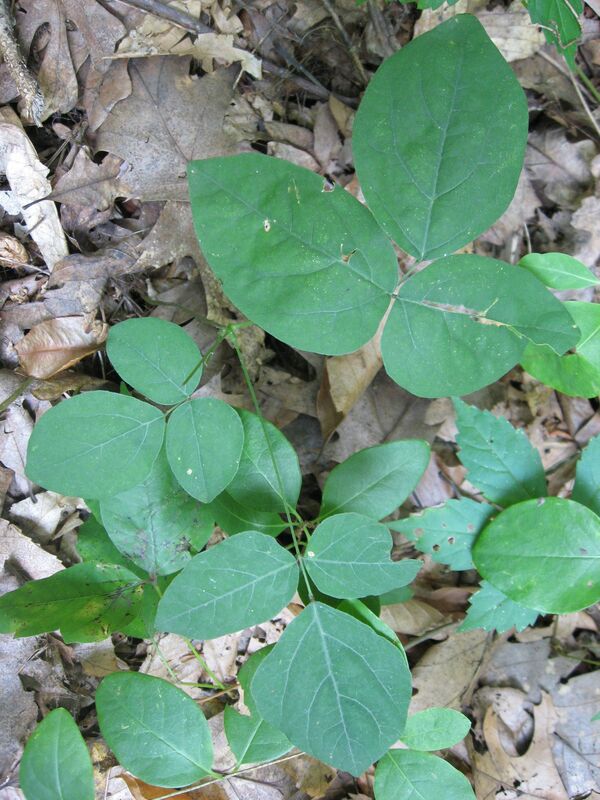 The leaf is distinctive for its purple underside. The leaf we found in March was dead and gone by June. Then in late July, the flower, all by itself, emerges from the Earth. The flower carries the purple color up its stem . The light green parts of the flower contrast nicely with the purple. The flower stalk growing individually, without leaves, is reminiscent of the Naked-Flowered Tick-trefoil we featured in our last post. 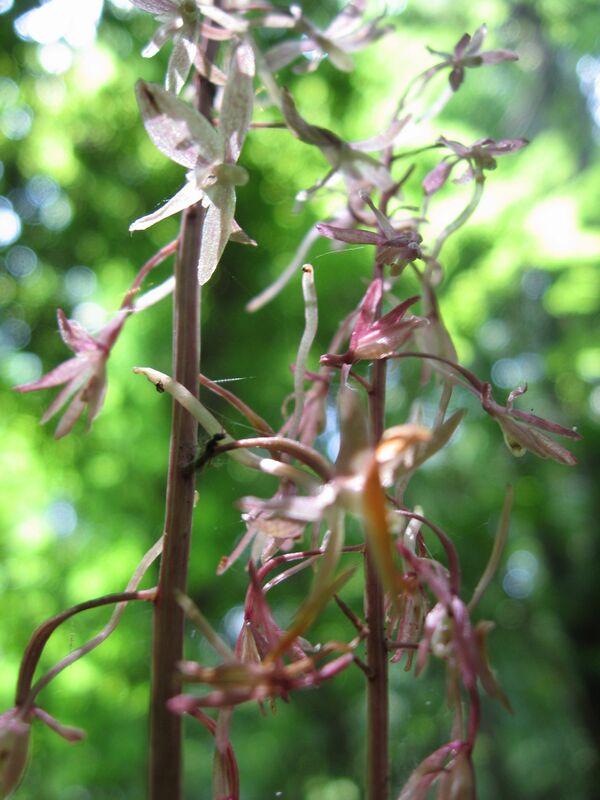 The blooming Cranefly Orchid turned out to be a great discovery on a hot and humid Sunday afternoon in the park. 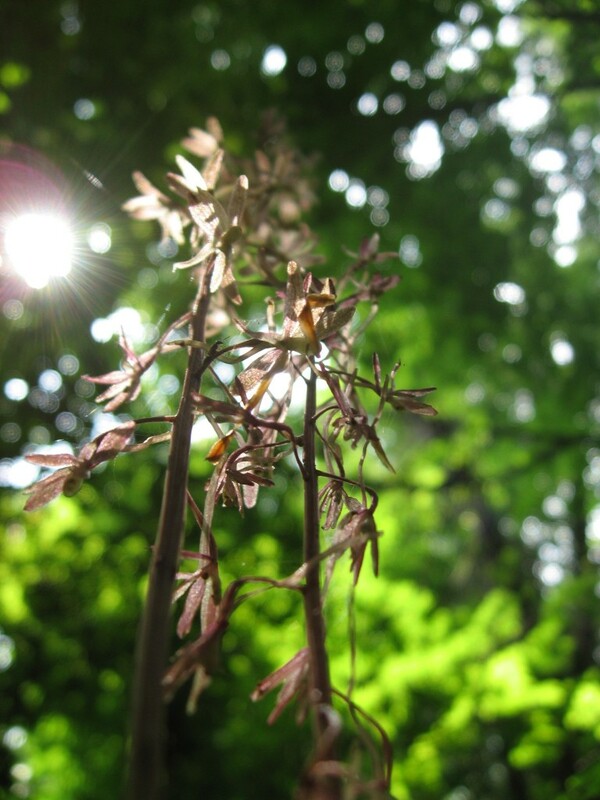 In just one small spot this native wildflower blooms in the middle of the summer when there is little else blooming. 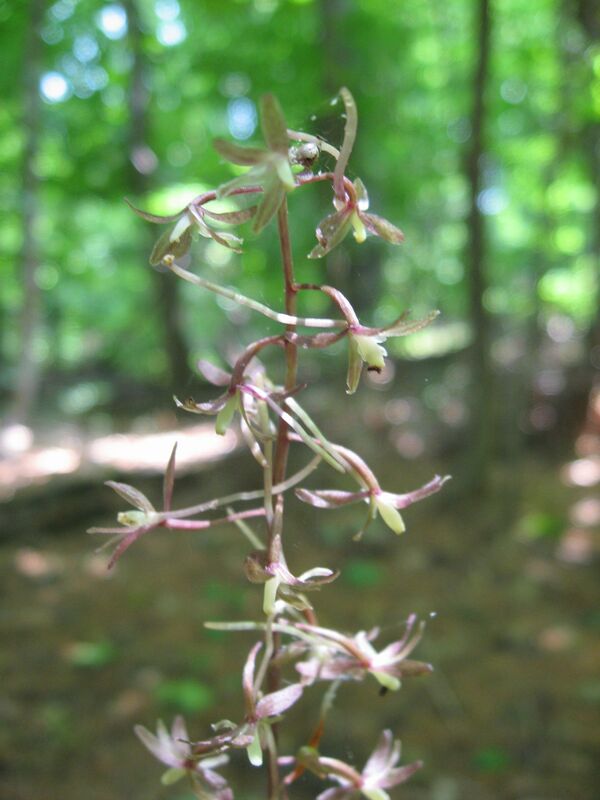 It sends up a leafless stalk and blooms away for a couple of weeks. 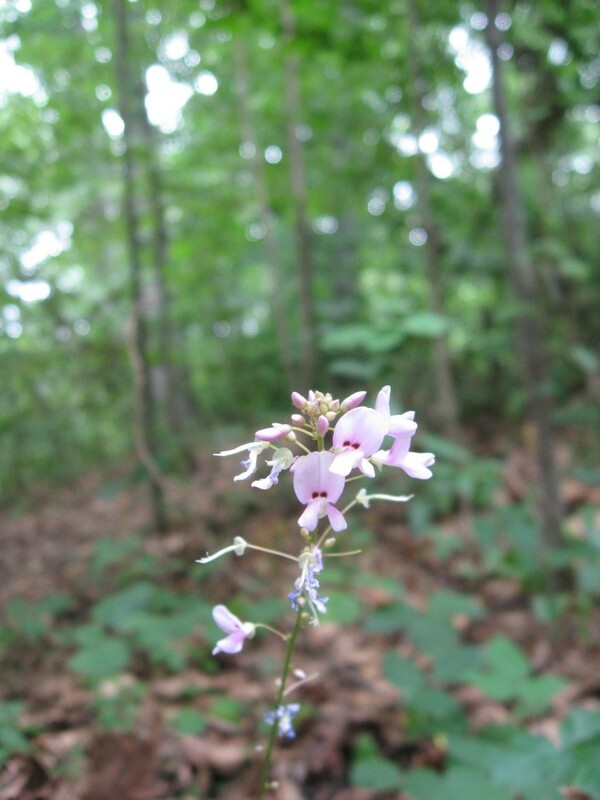 The leaves grow separately from the flower stalk, giving this plant its common name, the Naked- flowered Tick Trefoil. 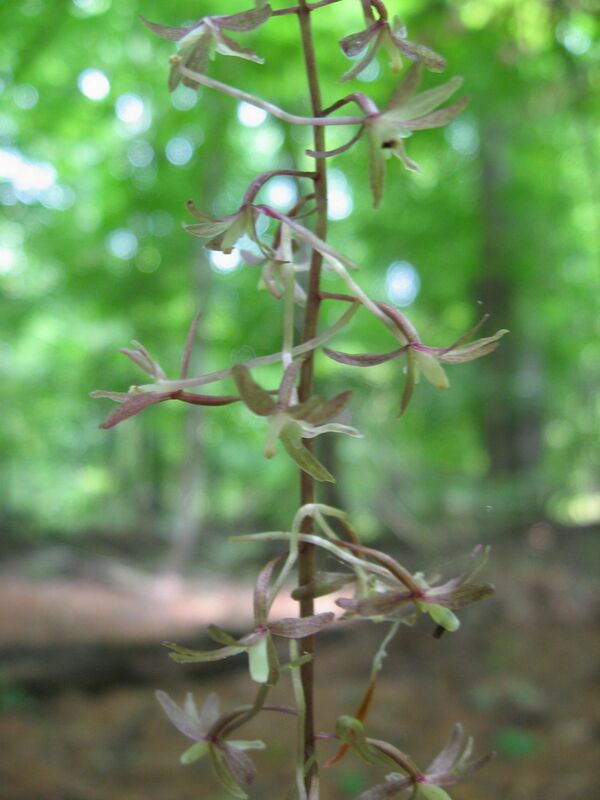 Every summer we have fun finding this shy sylvan beauty flowering in its habitat. Its flowering marks the peak of summer. When it is done, the most subtle hints of fall begin.